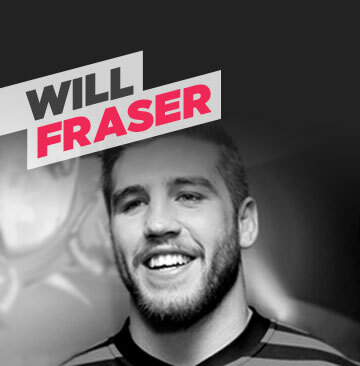 Will Fraser plays professional rugby for the Saracens. Will has been fortunate enough to represent England Saxons and play over 50 games for Saracens. Will's brother Henry was 17 when he had an accident whilst on holiday with friends and is now a quadriplegic. Matt and the foundation reached out to Henry and since then have involved Henry, and Will's family, heavily in what they do. For this reason Will is very proud to be an Ambassador of the Matt Hampson Foundation. It is very close to his heart has helped his brother Henry after his accident in so many ways. Will feels very privileged to be an Ambassador for the foundation and endeavours to do everything he can to help those who need it most.